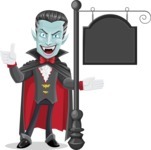 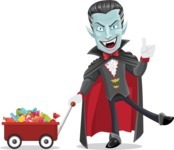 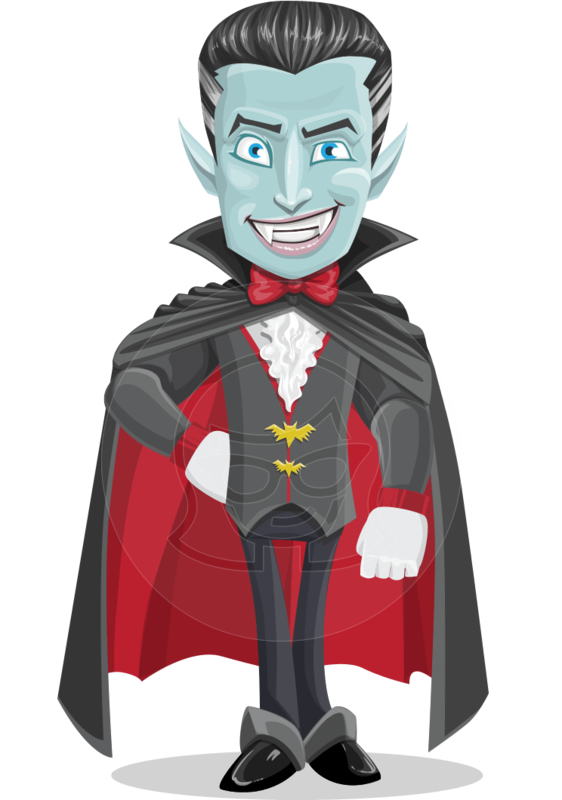 A male vampire cartoon character, formally dressed in pants with cuffs, a blazer with bat buttons, a shirt with ruffles and, of course, a cape with an elegant bow. 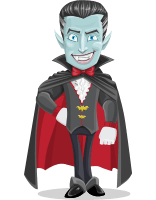 With his clothing, slicked back hair and sharp teeth Drake inspires respect and won’t go unnoticed in your Halloween designs. 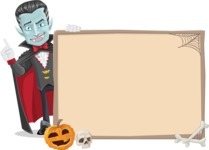 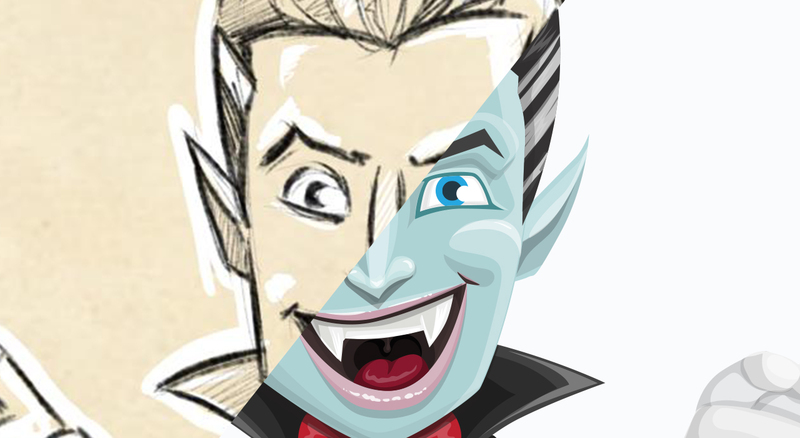 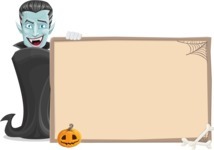 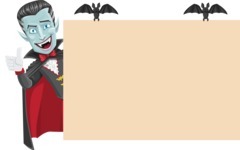 See how this Halloween vampire character was transformed from a Sketch design into a flawless vector graphic.